Newly developed hardwearing super alloy materials call for innovative tools for effective and efficient machining. Sutton Tools’ latest product release—the Black Magic Carbide Drill ranges—provides the ideal solution for high-quality drilling of the latest materials found in the aerospace and oil & gas industries. Sutton Tools has launched its new range of Black Magic Carbide Drills, aimed specifically at stainless steels and super alloys—such as austenitic stainless steels 304 and 316, duplex grades, and inconels 718 and 725—in the aerospace and oil & gas industries. Designed for use in CNC machines for component producers, the Black Magic range is available from 3mm to 13mm in 0.1mm step sizes, and from 13mm to 20mm in 0.5mm steps. Further options include a choice of two drill depths—3xD and 5xD—and two different drill lengths. Sutton Tools has fine-tuned the design of the cutting geometries, edge preparation and product coating. The Black Magic range features a Balzers Oerlikon Helica multi-layer AlCr-based PVD coating, optimized for carbide drills. 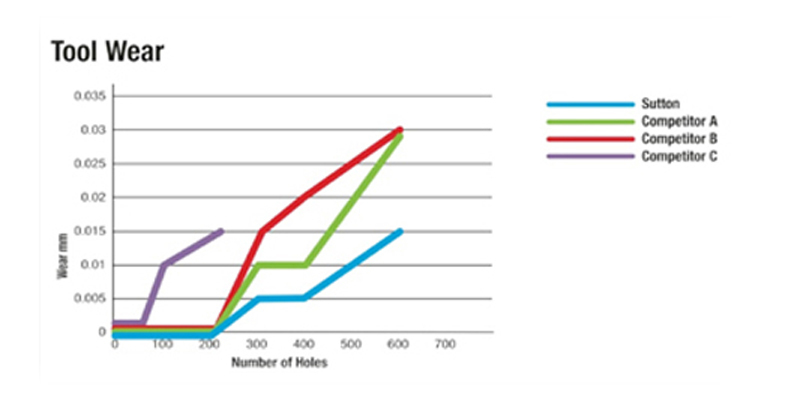 Benchmarking tests results show that Black Magic drills outperform the leading competing brands—with considerably lower tool wear and enhanced tool life. Sutton Tools is excited by the impact its Black Magic Carbide Drills line-up will have on the aerospace and oil & gas industries. The technology of its design ensures that Black Magic drills offer a winning combination of quality performance and longer tool life. 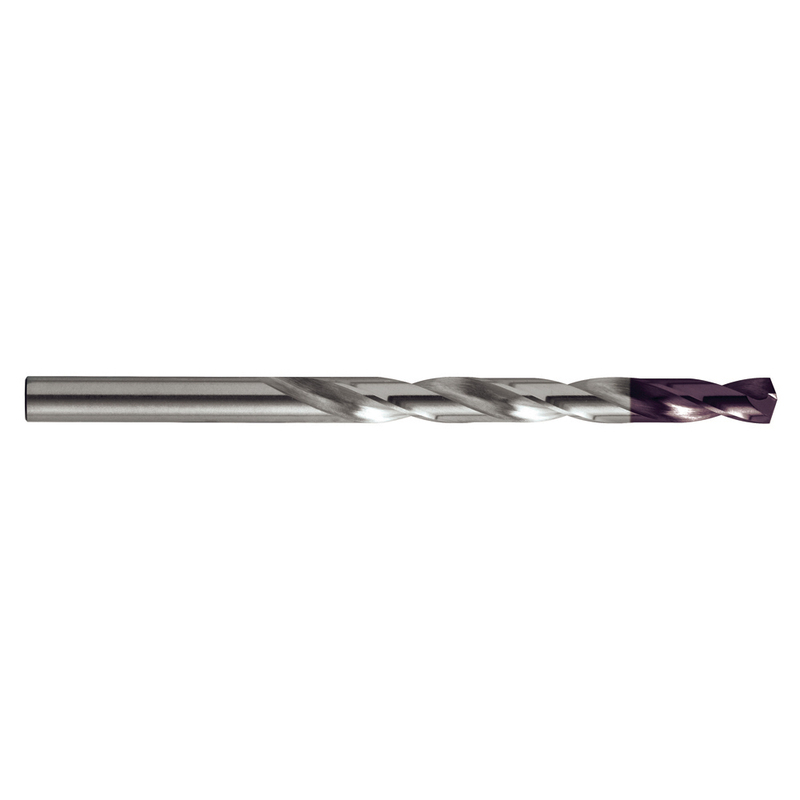 Sutton Tools’ range of Black Magic Carbide Drills have been developed for stainless steels and super alloys, such as austenitic stainless steels 304 and 316, duplex grades, and inconels 718 and 725. The Black Magic range is available from 3mm to 13mm in 0.1mm step sizes, and from 13mm to 20mm in 0.5mm steps. The geometry of the Black Magic Carbide Drills ensures lower friction levels, which means you can drill faster and cleaner with straight and accurate holes. 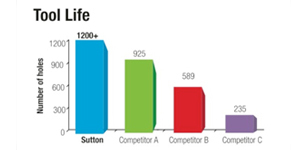 Sutton Tools has conducted a series of exacting internal benchmarking tests to compare the performance of its Black Magic range against other leading brands in the market. Images A, B and C show wear on competing drills. 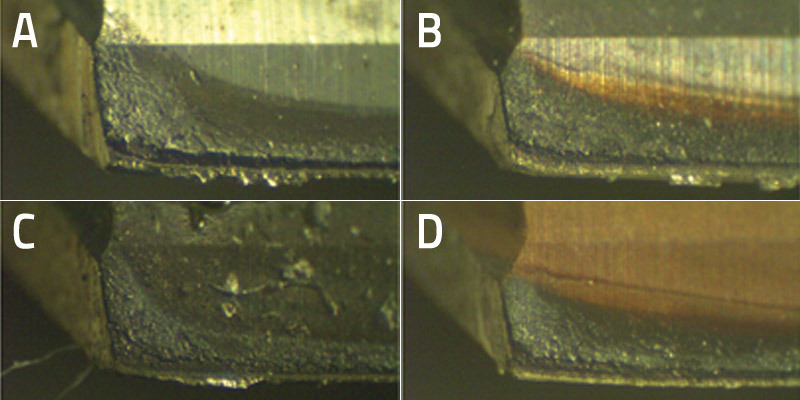 Image D shows far less wear on Sutton Tools’ Black Magic Carbide Drills. Black Magic Carbide Drills’ tool wear is considerably lower and tool life correspondingly higher when tested against competing brands under identical conditions.